This interactive workshop will cover the theory and practice of grafting. 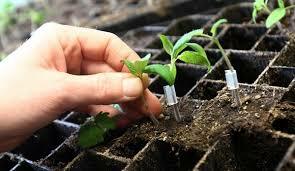 Grafting is an ancient art of propagating trees, and it's still the way many fruit trees are cultivated. For example, all apple varieties—like Gala, McIntosh and Granny Smith—are propagated by grafting. We'll explain how this works, share some tips for successful grafting, and then we'll practice it. Please bring a Stanley knife or a utility knife and one clothes peg.